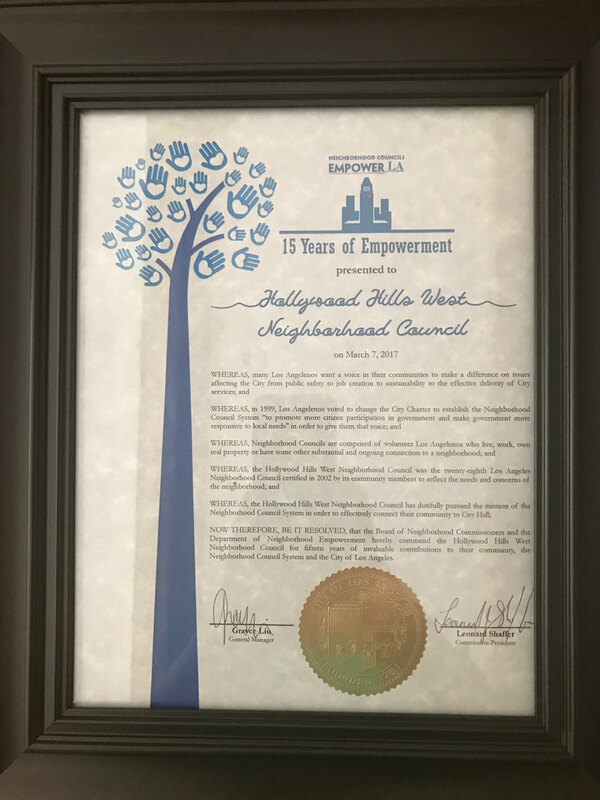 2017 marks the 15th anniversary of the founding of the Hollywood Hills West Neighborhood Council. 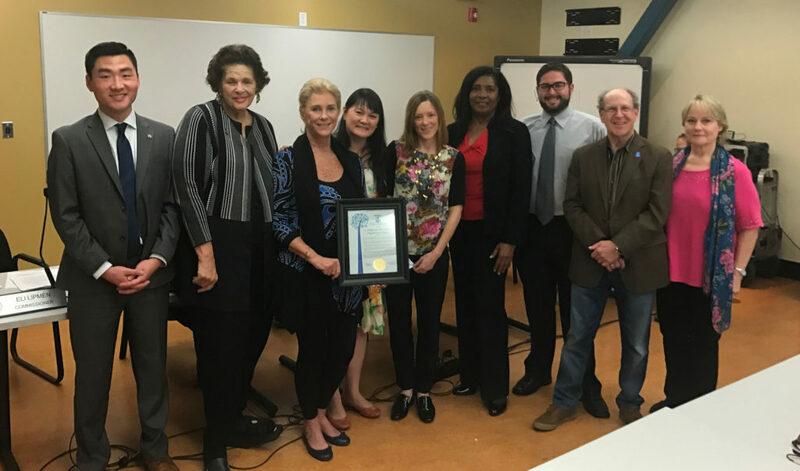 The Department of Neighborhood Empowerment (DONE) held a meeting to honor this achievement and presented HHWNC with a certificate commending the group for their contributions to the community. 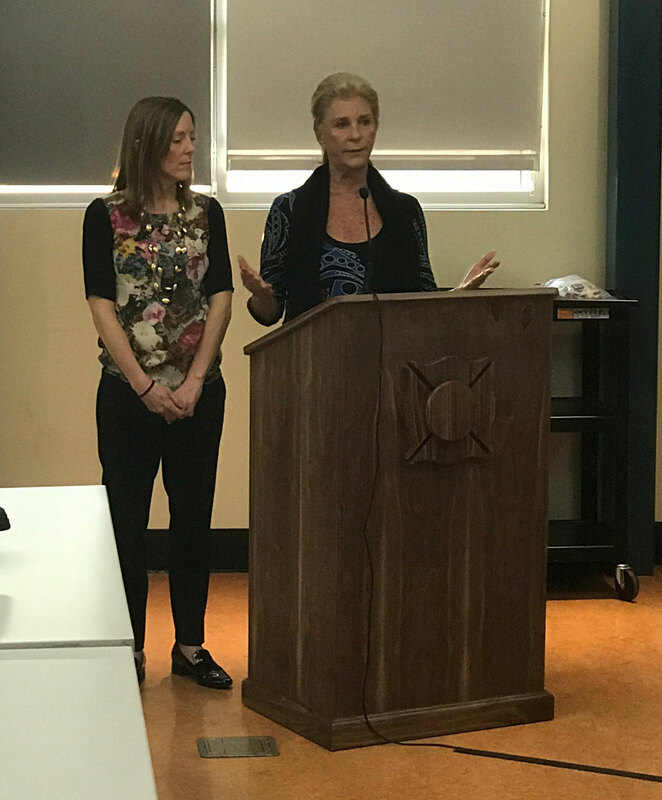 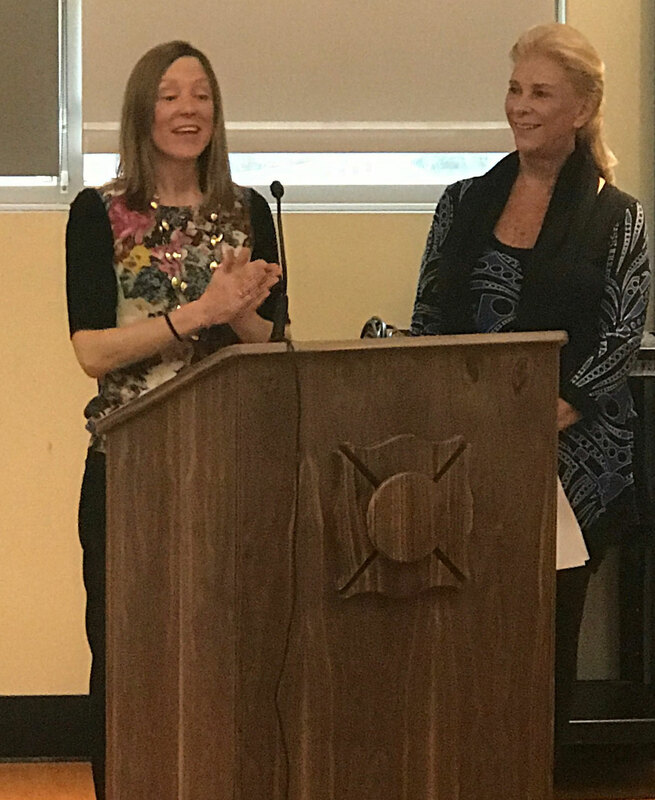 HHWNC President Anastasia Mann and Second Vice President Jane Crockett were in attendance to receive the certificate and say a few words on behalf of HHWNC.